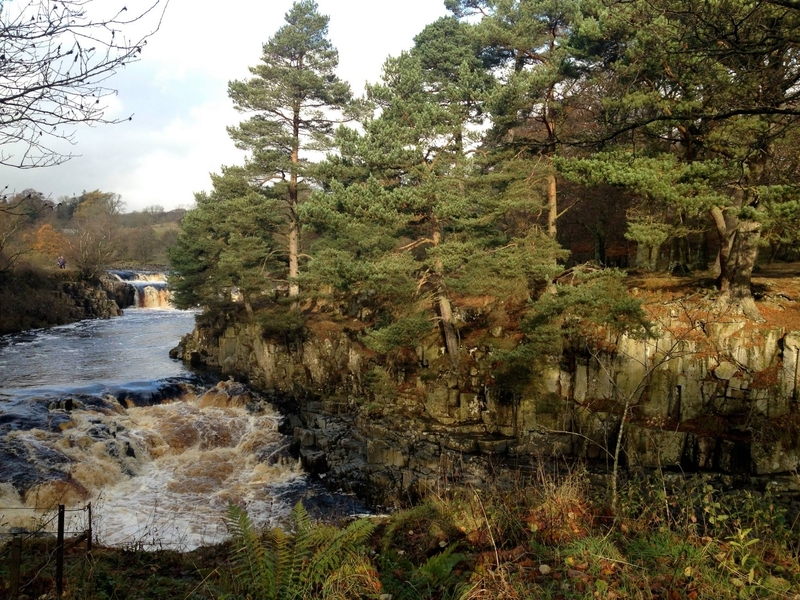 High Force is one of the most majestic waterfalls in the United Kingdom, situated on the River Tees in Teesdale. The waterfall is the highest uninterrupted drop of water in England at around 70 feet. The river itself forms the historic boundary between Yorkshire and County Durham. The area lies within the breathtaking North Pennines Area of Outstanding Natural Beauty with a stunning landscape of open heather moors, attractive dales, hay meadows and wonderful woodland. The North Pennines is also a European and Global Geopark, highlighting its globally important Earth heritage.